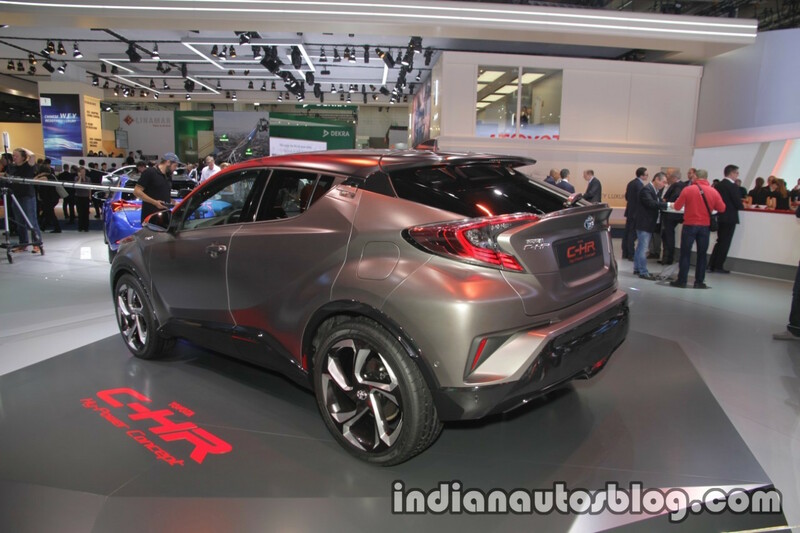 Toyota is showcasing a concept based on the C-HR compact SUV called the Toyota C-HR Hy-Power Concept at the ongoing Frankfurt Auto Show 2017 (IAA 2017). It has been conceptualised by ED2 , Toyota's European Design Studio. Aside from cosmetic enhancements, the concept also features a performance-focused hybrid powertrain. Toyota's official literature claims the design inspiration for the Hy-Power Concept comes from "natural forces that turn carbon into diamonds and the way in which solid rock can conceal a fiery, molten core." In simpler terms, this means the C-HR gets visual enhancements including a new matt finish Dark Carbon silver paint along with the use of gloss black trim on the front bumper, above the logo on the front grille and the wheel arches. The design team has used anodised Burning Orange finish on the front pillars, the door mirror housings along with Burning Orange accents within the headlamp units. It is also used as a highlight within the black diamond mesh pattern of the lower grille. The roof is finished in a dual tone colour bearing a diamond cut pattern in orange towards the front, and gloss black shade towards the rear. Complementing the exterior paint scheme is the black with Burning Orange highlights in the cabin. The black leather seats get orange headrests and bolsters. The same colour yarn has been used to create a diamond shape quilting pattern on the seatbacks and cushions. This orange & black combo is also seen on the door trims, which get orange armrests. While the hybrid powertrain of the Toyota C-HR Hy-Power Concept has a power output than the standard C-HR Hybrid's 122 HP, exact figures have not been specified. The company says more details will be revealed in 2018. 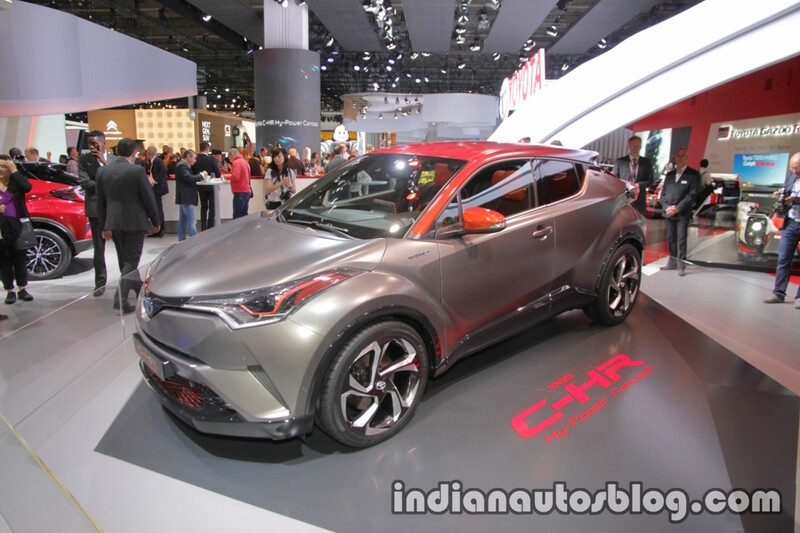 The production spec Toyota C-HR was unveiled in March 2016 in Geneva, and it is rumoured that a Toyota C-HR India launch is on the cards.